People want to be physically fit to look good, and also feel good. Especially now that summer is fast approaching, people want to gain the confidence to be able to flaunt their fit bodies during the summer season. Learning how to be physically fit can be found from various sources. You can find articles and videos on the internet on ways of getting fit. And you can also read these off magazines. 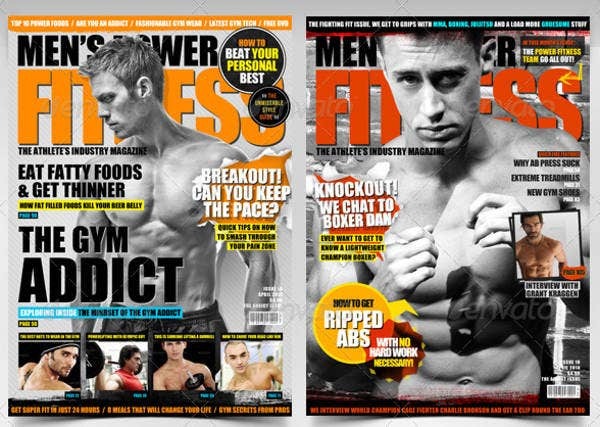 People love to read magazines and promoting fitness to people through magazines is an effective method. 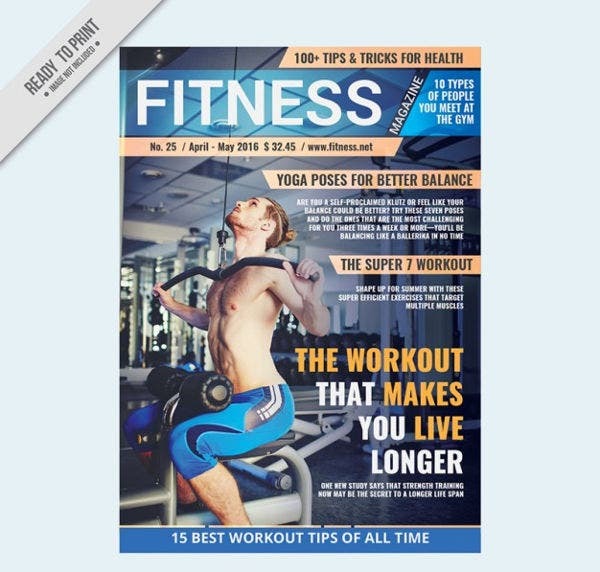 Here on our website, we are providing you with magazine templates that you can use to promote physical fitness and good health. Physical fitness is defined as the ability to carry out daily tasks with alertness, energy, and without fatigue. It involves everything from getting out of bed to walking to working out. Cardiopulmonary endurance—The extent a person can perform an activity and measuring their heart rate and oxygen consumption. Muscular endurance—The number of repetitions of a particular exercise a person can perform. Muscular strength—The amount of weight lifted in relation to the number of repetitions. Muscular power—The force generated during a given activity. Body composition—Measured by the amount of fat in the body versus the muscles, bones, and skin. Underwater swimming is the only exercise that requires you to hold your breath. Your muscles are three times more efficient at burning calories than fat. Forward locomotion such as walking and running is actually the process of losing and catching your balance. Muscle fibers are thinner than human hair but can support up to a thousand times its own weight. You should drink plenty of water all throughout the day, especially when exercising. Can’t decide on what to put on your cover? Check out our collection of magazine cover templates. These templates will surely help you in deciding how to design your magazine’s cover page. It can help in preventing illnesses. It can also help in preventing muscle and bone injuries from performing daily tasks. It can strengthen your bones and muscles. Stretching to increase flexibility can relieve many medical complaints. It can improve the heart and lungs’ level of functioning, which can boost your endurance. Not only will it make you look good, it will also make you feel good. It can aid in promoting a good night’s sleep. It can relieve stress and reduce the risk of depression. 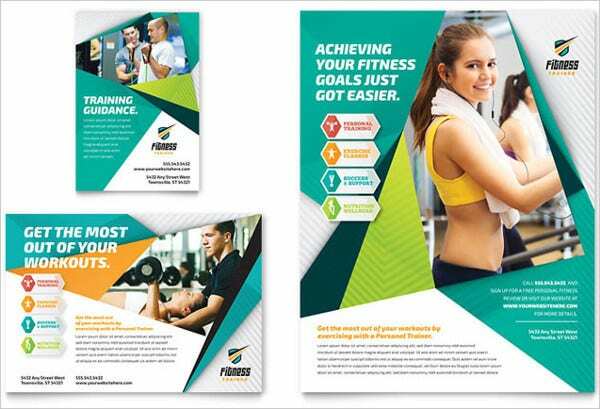 So if you’re looking for templates for your magazine on health and fitness, then you don’t have to look anywhere else. These templates can be accessed and downloaded for a very reasonable fee. These templates come in high resolution and fully editable PSD, EPS, AI, and Vector formats for your convenience. 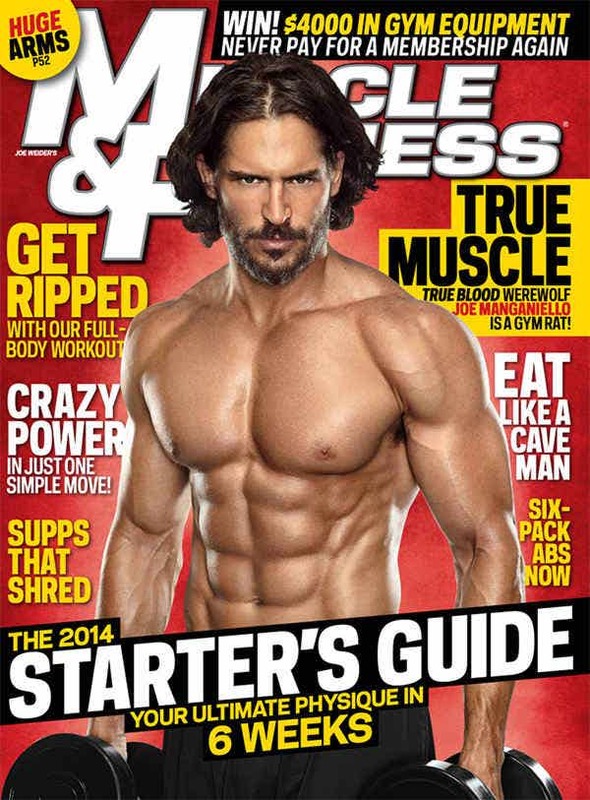 Looking for even more templates on health magazines? Then check out our other collection of health magazine templates. But if you couldn’t find what you were looking for on this page, scroll down and check out the links to other related contents found on our website.